Draw N Guess 2 Multiplayer - The next chapter in #1 drawing and guessing game in the world. With more than half a billion drawings drawn, Draw N Guess is more than just a social drawing game. It’s very addicting with lots of cool new features and enhancements added along with everything it had previously. Use your creative skill to draw the given word, and let the opponent guess that word and then vice versa. The world’s most popular drawing and guessing game is free to play! What is Draw N Guess 2? Invite your friends and play together in a party mode. Even if you are not playing, you could still enter into a private chat with other players who are added as friends. Spin the Wheel and win amazing prizes like coins, avatars and titles by unlocking the Treasure Chests. Show off yourselves in different avatars that match close to your personality. Entitle yourself with the best title describing your true self. Pick the right sets of colors to make your drawings look more colorful and beautiful. Choose from a catalog of drawing tools like Crayon, Brushes, Paint Roller, Highlighter, Marker, Spray, etc to showcase your artistic skills. Avail a monthly subscription and get unlimited lives to play with. Create a new Profile by Logging in using Facebook or Google. You could also play as a guest. Click on the Play button and then the fun begins! To win a round, be very quick in guessing the word of the drawing. And also, the points will be given based on how fast you guess or draw. So, literally go crazy making rapid guesses! To grab the bonus points, you need to play really well. You can also play live games with your family, friends or other players from all around the world. 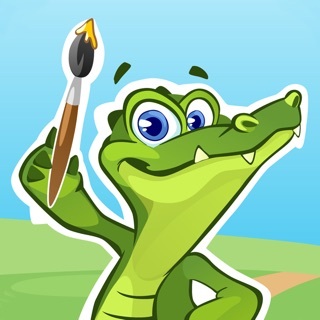 Sounds simple, but it's unbelievable how amazingly fun and addictive Draw N Guess 2 can become! So, what are you waiting for? 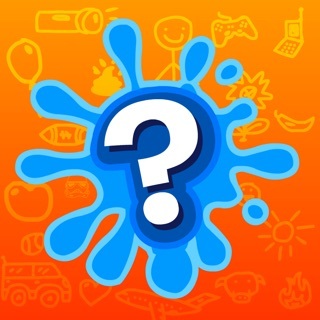 Download Draw N Guess 2 and start having FUN!!!!! If you like Draw N Guess 2, please support us by rating the game. Players disconnect every five seconds and ruin the game and then I LOSE my hearts Because THEY can’t stay in the game. Also some people draw completely stupidly and horribly and I am not sure if it’s purposely, or they are just so bad at drawing they have no business playing a game where you must know how to draw. When you do find a group who draw well and decide to stick around long enough to play a round, often there’s glitches or someone keeps writing out the word instead. Need a group of players who actually want to play. The game itself is great and it’s not the developers fault the players are idiots. Thanks for your feedback. We encourage the players to draw the word instead of writing the words, still some players write the words which has a negative impact on the other players. Also, we're trying to implement moderation mechanism where players who play fair will be encouraged and given more points. Thanks again!! The game itself is kind of fun... ok but once you’ve bought everything which is easy to do, there’s nothing left for incentive and most of the people on this game don’t actually draw anything. I don’t know how they hack it I don’t know how they get the answer so fast or if they just cheat because they will write out the word and if they’re not doing that I don’t know how else they’re getting it so quickly? it will be a word like “stretcher” and be guessed in like 2.2 seconds! with no drawing, how do you do that? Some of the players are very fast at guessing after playing for a very long time. Some try to cheat inside the game. We don't encourage cheating inside the game and try to keep the game environment fun for everyone. Please write to support@timeplusq.com about anyone who you think might be cheating inside the game by hacking. We'll definitely take the appropriate actions. Thanks! Overall it’s a great game, though idk why “It’s” or “I’m” turns into “Iâts” Or “Iâm”. And it’s a little glitchy, I had to reinstall it due to it not letting me play. But it’s a good game, as long as they fix those bugs.